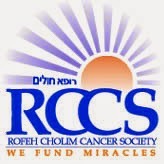 Rofeh Cholim Cancer Society will be having a meeting for women this Sunday night, December 7, at 8:00 PM at the home of Karen Schild, 27 Fessler Frive, to help raise money for health insurance. Unfortunately, this past year there has been a 30% increase in Monsey patients alone. We hope to see you on Sunday night to help support this very worthy cause.